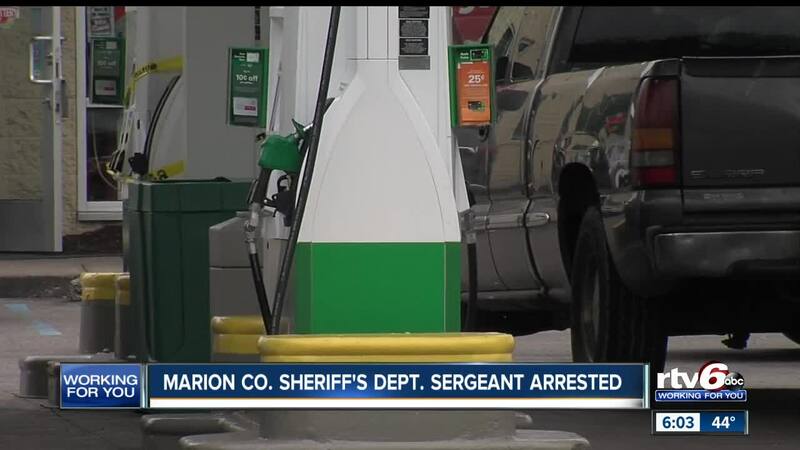 A Marion County Sheriff’s Office sergeant was arrested after he was found sleeping in his personal SUV Thursday night and found to be more than two times the legal limit, police reports said. INDIANAPOLIS – A Marion County Sheriff’s Office sergeant was arrested after he was found sleeping in his personal SUV Thursday night and found to be more than two times the legal limit, police reports said. Indianapolis Metropolitan Police Department officers were called after Sgt. Donald VanCleave was found sleeping in his Cadillac Escalade in the entrance to the BP Gas Station parking lot in the 2500 block of North Emerson Avenue. According to police reports, VanCleave had a blood alcohol content of 0.161 and was arrested and charged for allegedly operating a vehicle while intoxicated. VanCleave was off-duty at the time of the arrest. “He has been placed on administrative leave,” the Marion County Sheriff's Office said in an email.